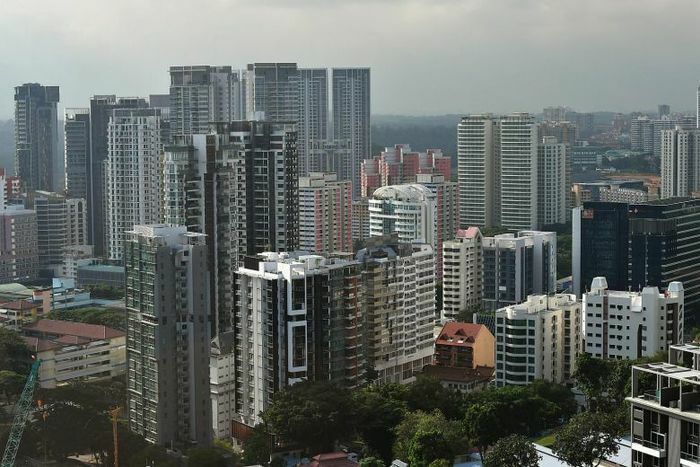 Rents for private condos and apartments last month fell 0.2 per cent, while Housing Board flat rents fell 0.8 per cent from the previous month, on the back of a fall in the number of homes leased out, according to flash estimates by real estate portal SRX Property yesterday. Year-on-year, rents from non-landed private rentals decreased 0.3 per cent. Compared with the market's peak in January 2013, rents are 19.3 per cent lower. In terms of locality, rents of condos and private apartments fell by 1 per cent month-on-month in the prime district or Core Central Region. They edged up by 0.7 per cent in the city fringe or Rest of Central Region, and fell 0.3 per cent in the suburbs, or Outside Central Region. Rental volumes of private homes declined 1 per cent to 4,637 units from May, but were 0.6 per cent higher than the 4,609 units rented out in June last year. HDB rental volumes fell 5.8 per cent to 1,735 flats from May's showing. Last month's volumes were 5.1 per cent lower than that of June last year. Ms Christine Sun, head of research and consultancy at OrangeTee & Tie, said the fall in volume could be seasonal - the June school holidays are usually a lull period for the property market. She added that some people who sold their homes en bloc could turn to the rental market for temporary housing, "since the replacement cost of buying a new home is now higher under the new cooling measures".